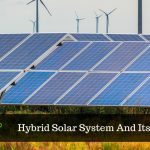 In the present climate, most people and industries across the globe have switched to renewable energy as it is more reliable sources of income and eco-friendly energy alternative. The solar panel systems, as a result, has become famous for both businesses as well as homemakers. At a time when fossil fuels consumed more than ever, those investing in the system are doing their part in reducing their carbon footprint. In most of these instances, the large rooftop solar panels system work much like the solar cells on your typical calculator. To create electrical energy and display electrons sunlight serves as the prime source as it constructed of semiconductors. 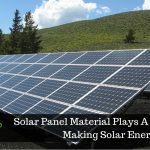 The energy generated by panels is supposed to act as a return on the investment (ROI). However, to keep its return flowing correctly most of the people fail to the investment maintain. It is very important to keep an eye on the operation and maintenance of solar systems as the surface of the technology can become obstructed by windborne dust, water streaking and falling leaves. Due to this reason, the effectiveness of solar panel can diminish anywhere from 15 – 25 per cent. Therefore, getting your solar panels clean can either break or make the ROI that comes with green energy generation. 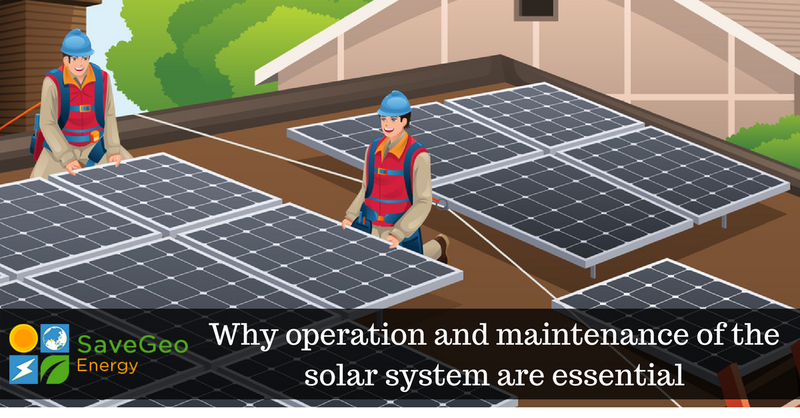 Let us understand in detail why operation and maintenance of solar systems are essential part of our day-to-day life. A specialist can quickly identify any issues before it occurs and fixes the problem. This, in turn, will help you to rectify any damage before the issue gets worse, resulting in saving a lot of money on repair costs. For this reason, servicing the solar panel system on a regular basis can even ensure your safety. For instance, a solar power expert will have a thorough check of electrical components for signs of corrosion and water damage, as it could pose a significant risk to you and your family. They can also recommend a solar power solution if there is any problem while checking the condition of your roof. Hence, the frequency of cleaning the solar panel system varies on the location of your house or business and the exposure of panels to dirt. 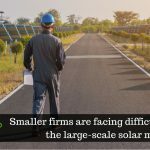 For example, a commercial or industrial setting requires maintenance for solar system every six months, while residential areas are recommended to get it cleaned after every 6 to 12 months. If your location is in smallholding areas, which is prone to dirt requires cleaning after every 3 to 4 months. On the other hand, there will be less maintenance, if you reside in a clear area. However, if there are fumes or dirt in the air, then there are chances to scrub down more regularly, as it can easily be covered on the solar panel system. With dirt accumulated on the solar panels makes it difficult to absorb sunlight properly and result in rendering your system less efficient. As a result, with the help of an expert, you can remove the grime that has hoarded on the surface of your system. As per the statistic report, annually getting done the operation and maintenance of solar systems can increase its efficiency by as much as 21 per cent, maximizing your returns on your investment too. Hence, cleaning solar panel system is an essential part of maintaining the financing for the highest possible profit. SaveGeo offers a wide range of services based on your plant’s sourcing strategy, infrastructure and degree of expertise in the solar energy spectrum. Their team of experts operate and maintain solar power systems by providing a time-to-time report on solar power generation. Also, possess expertise in project commissioning along with devising mechanisms to retrieve and manage solar power generation data to enhance their operation and maintenance services.